I'm not sure that Acehnese culture can be categorized as "Malay", but there is a section on Aceh in this interesting website: melayuonline. Malaysia tend to think of the Malaysian peninsula, also called Malaya,as the home of the Malays. Yet it is clear that Malay culture has its roots in the Sri Vijayan culture based in Sumatra in Indonesia. The legacy of that culture is still strong in Indonesia; after all the Indonesian national language is Malay even though ethnic Malays form a very small minority in that country. And melayuonline is based in Indonesia not Malaysia. 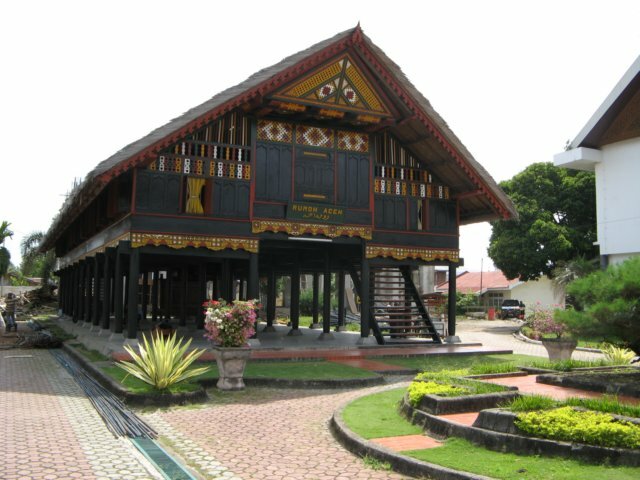 This is a replica of the house of Acehnese heroine Cut Nyak Dhien, from the Aceh War. 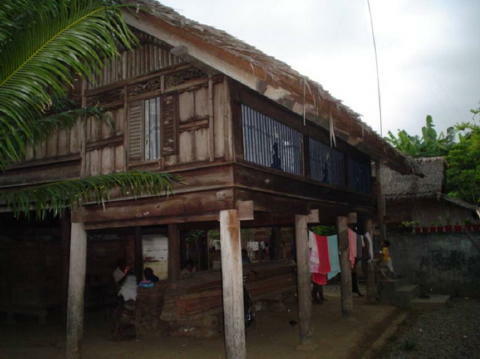 The House was burnt down by the colonial forces but a replica and is now a museum at Lampisang, about six kilometers from Banda Aceh, . 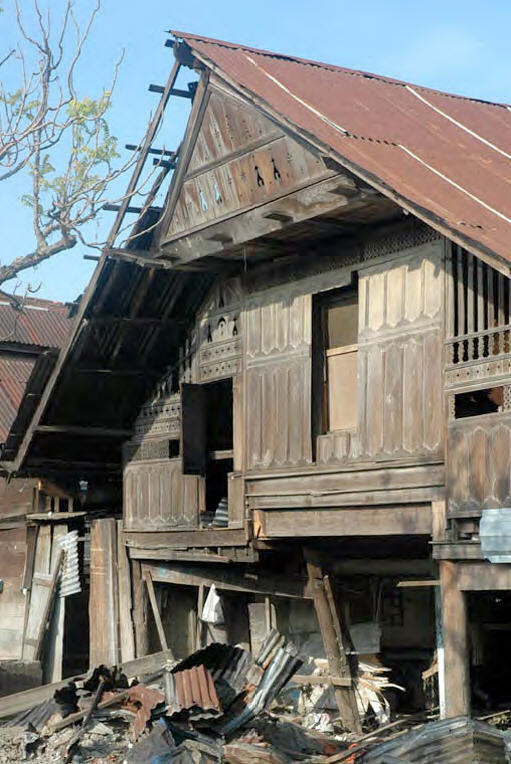 There are many similarities between traditional houses in Malaya and Aceh, but the stilts are much more stout in Aceh. The construction has taken account that Aceh, unlike Peninsula Malaysia, is a country of earthquakes and volcanoes. 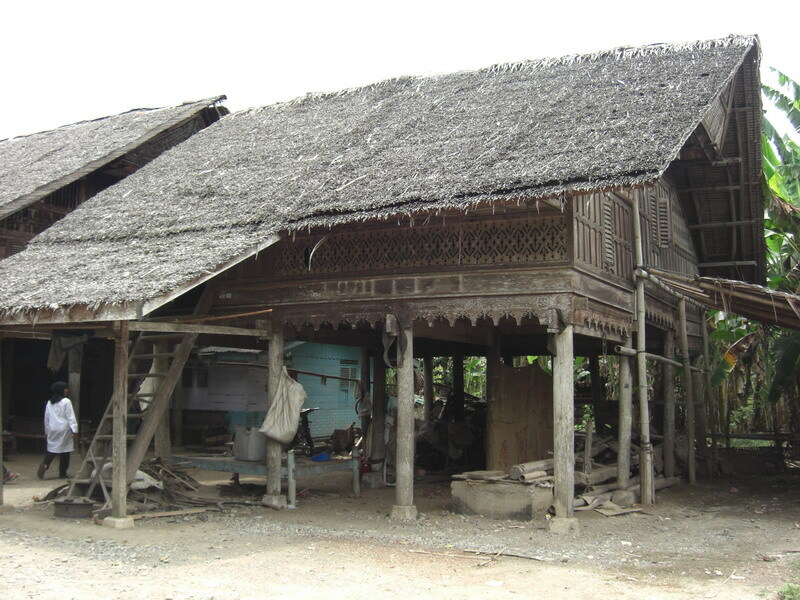 Reconstruction after the Tsunami, link is great. I did not realize that there was so much damage. Rumoh Aceh house is fabulously beautiful. It really is stunning! Thanks for the pictures and links. Svet and I enjoy this blog so much!